Nikon Europe has issued a warning for anyone trying to edit raw files from an unsupported Nikon DSLR, using older versions of Nikon's ViewNX or Transfer software. Apparently there's a very good chance your image files could become corrupted and unreadable. Even simply using the software to view your raw files could damage your photos. Lots of serious photographers shoot their photos in raw format, because it offers higher image quality and plenty of latitude when editing. However, if you regularly edit your raw files with an older version of Nikon's image editing software then you could be in for a nasty surprise. Unfortunately there's no sneaky workaround for this issue if you are one of the people still using version 1.x of ViewNX or Nikon Transfer with files from a newer or unsupported Nikon DSLR. One option is to upgrade to the current version such as ViewNX 2 (which also includes Nikon Transfer 2) or buy Nikon's more comprehensive CaptureNX 2 package. You can download the latest version of ViewNX 2 for free from the Nikon UK website, the Nikon USA site or Nikon website for your region. 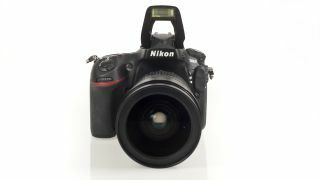 If you don't fancy using Nikon's software then you can always buy third-party image editing software such as Adobe Photoshop Lightroom or Apple Aperture, both of which can handle Nikon's NEF raw file format.